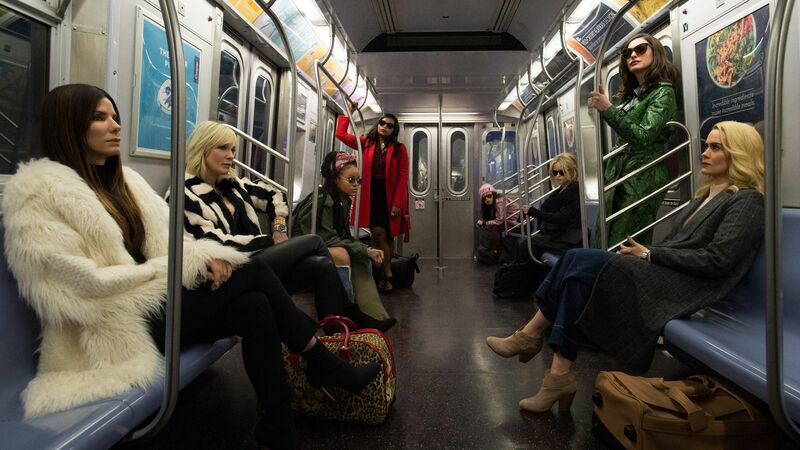 Dinosaurs might be roaring across screens elsewhere in the world, but in the United States, the heist crew of Ocean's 8 were the ones making noise at the box office. The Ocean's sequel/spin-off earned a studio-estimated $41.5 million to nab first position this weekend. The movie, which sees Sandra Bullock as Debbie, the sister of George Clooney's Danny Ocean executing a heist of her own, has so far made $53.7 million and will be rolling out across the world this month. The new arrival pushed Solo: A Star Wars Story into second place, with Han and co. earning $15.1 million. This latest stand-alone is still struggling to fill seats, and has so far made $176.1 million in the US, way below its studio stablemates. Deadpool 2 slipped to third with $13.6 million. Fourth place went to the second new entry of the week, chiller Hereditary, which has won plenty of plaudits for its terrifying tale. The film made $13 million upon launch. Avengers: Infinity War dropped one place to round out the top five, but still added $6.8 million and keeps moving slowly towards $2 billion globally. Adrift took in $5 million at sixth, while Book Club went down to seventh for $4.2 million. Eighth was writer/producer Drew Pearce's full-length directorial debut, Hotel Artemis, earning $3.1 million – perhaps not the strongest start he might have hoped for. Upgrade slipped to ninth on $2.2 million, and Life Of The Party dropped to seventh, taking home $2.1 million.